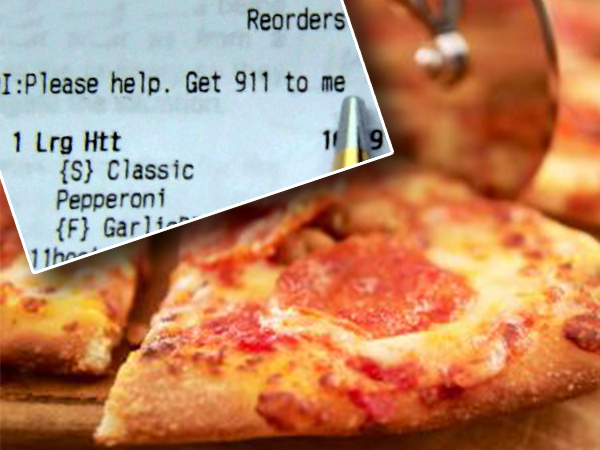 Police freed a terrified mother of three after the online order she placed with Pizza Hut revealed she was being held up with a knife by her drug addict boyfriend. Staff at the Avon Park branch in Florida recognised Cheryl as a regular client and immediately summoned the police who rushed to her aid. As police arrived she fled from the house with a baby in her arms, warning police her boyfriend was armed with a knife. Ethan (25) at first refused to surrender saying he doesn’t want to go to jail. He’s being charged with serious assault and unlawful detention. Police suspect he was using metamphetamine (tik).